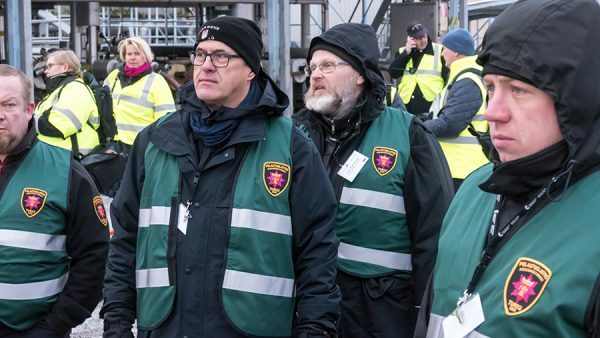 The Southwest Finland Emergency Services, in co-operation with other authorities had planned a large scale emergency exercise in the Port of Turku on 7th December 2017. 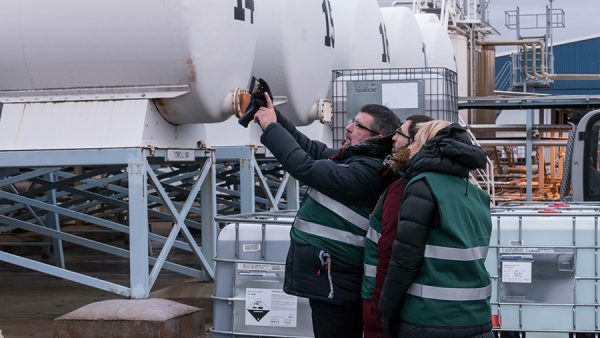 The exercise simulated an accident involving a hazardous chemical leak. 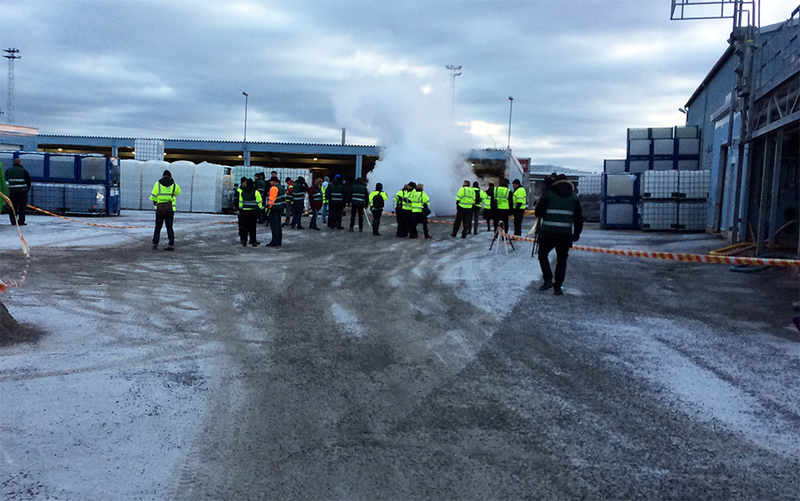 The exercise started at the warehouse in the Port of Turku when 1000 kg of ammonia was released into the atmosphere. Ammonia is very harmful for human health. People working on the loading bay had serious damage in their respiratory tract. The smell of ammonia travelled in the atmosphere as far as the Tallink Silja passenger terminal, where hundreds of ferry passengers were waiting to get into the ferry and 50 people got seriously injured due to the panic and mayhem. A large scale exercise like this is a result of co-operation between different authorities, companies and individuals. 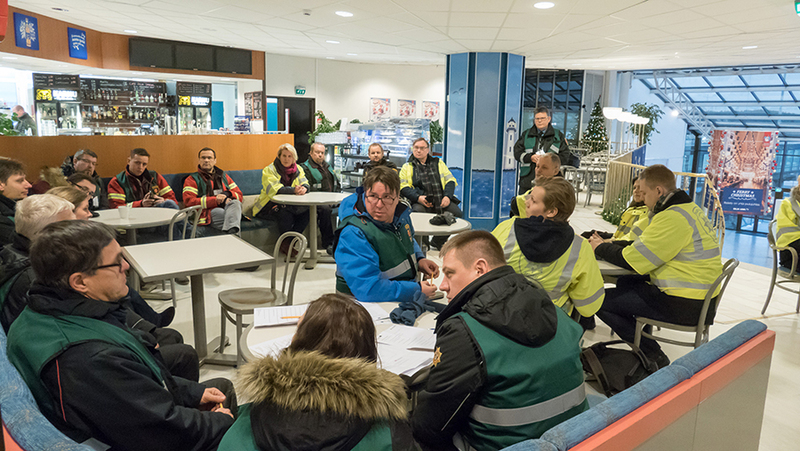 The co-operation between the key stakeholders is vital, not only in an accident situation but also in planning and executing exercises. 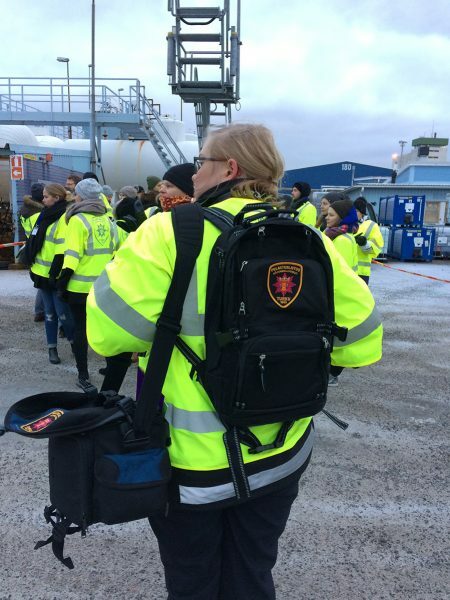 -During exercises, the operators get to know each other and together they create operational plans which they can exploit in a real emergency situation, tells Fire Inspector Miikka Toivonen. 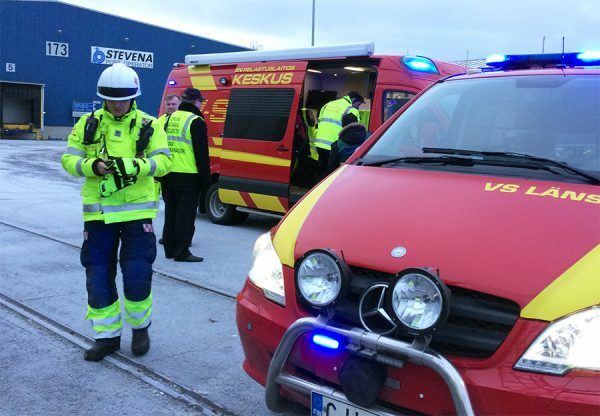 -Good communication between the authorities also makes the rescue operations safer for the operators. That’s why it is so important to practice together, he continues. 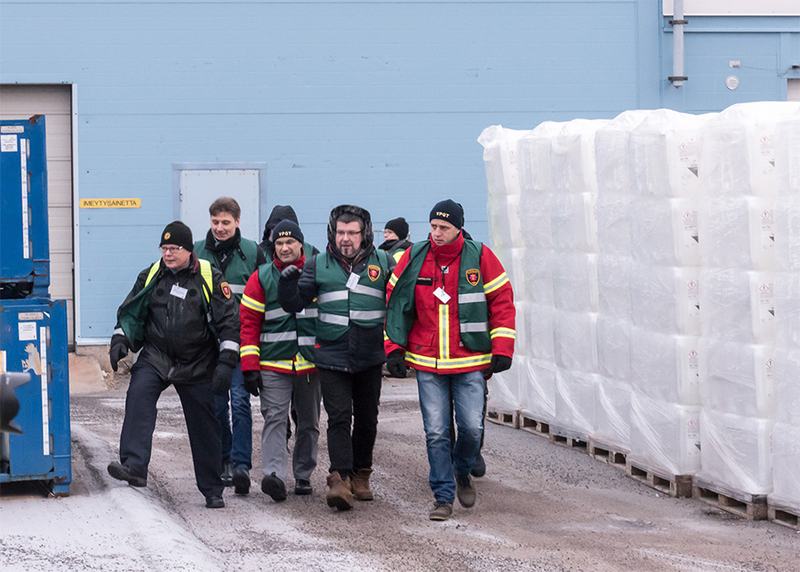 All the organisations had their own goals in the exercise, but one of the main goals was to strengthen the co-operation between the authorities. 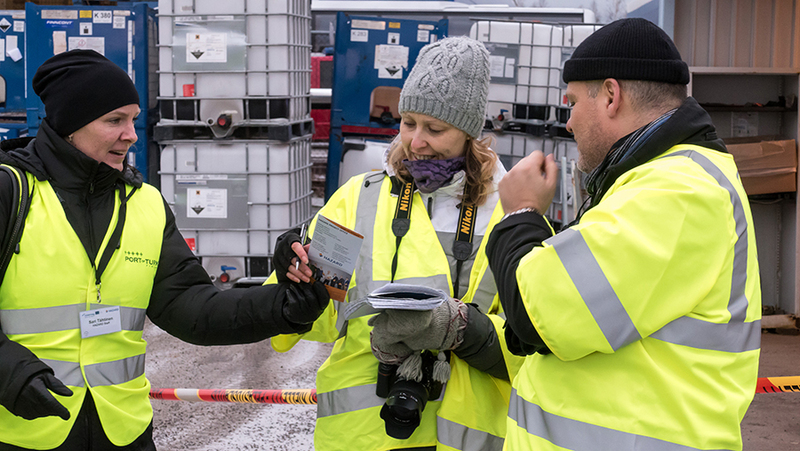 The communication between the key stakeholders is one of the issues that was practiced during the exercise. Read more on the exercise flyer. 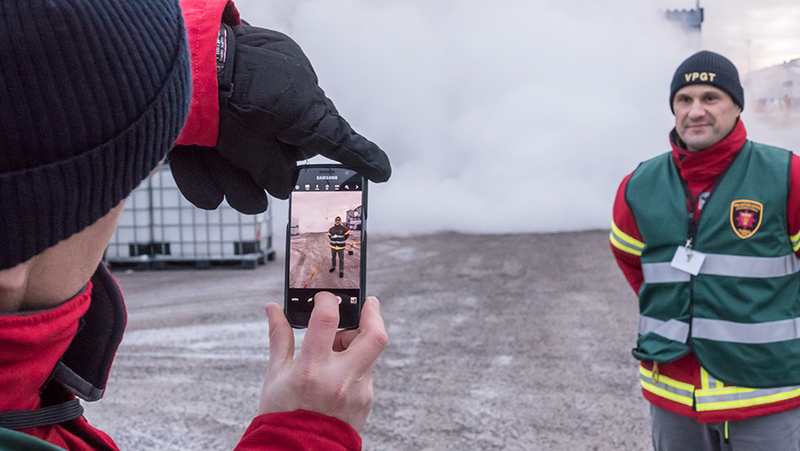 An interesting detail of the communication exercise was the use of social media for sending the emergency messages. 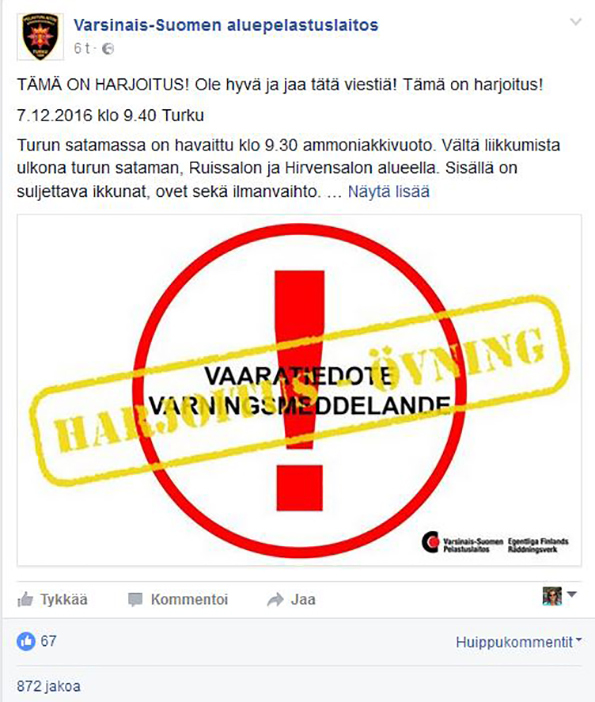 The southwest Finland Emergency Services were posting messages through their social media channels, and later they will collate the information on how the messages reached people. 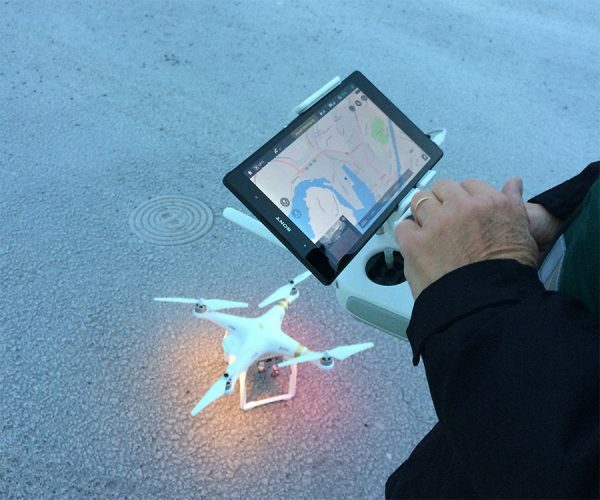 The results of the test will be reported and analysed. The project provides a unique learning platform for the rescue services and seaports. The project enables the project partners from other Baltic Sea Region countries to take part in the exercise as observers. The exercise had visitors from Germany, Lithuania and Estonia. They will give their feedback of the exercise and they can also evaluate and improve their own procedures and practices in similar emergencies. 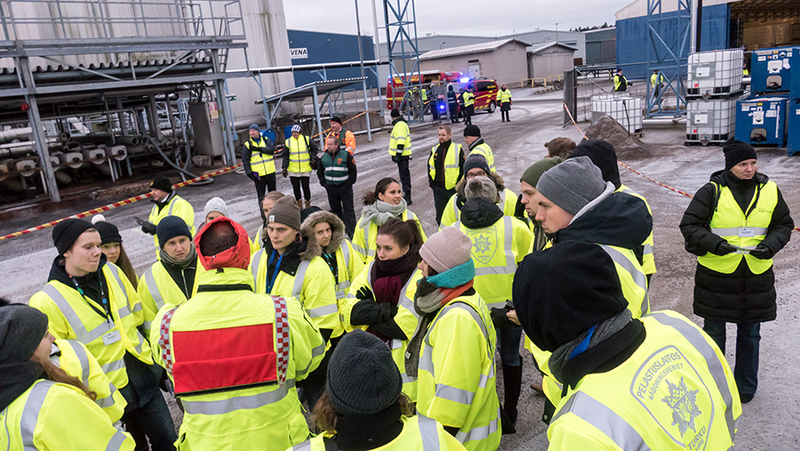 Around 20 Supply Chain Management and Humanitarian Logistics and Supply Chain Research Institute students from the Turku School of Economics and the Hanken School of Economics also had a possibility to follow the excersice and they gave their feedback as well.